The people of Virginia Beach are seeking more from our libraries-and these advanced services are not fulfilled through city funding. 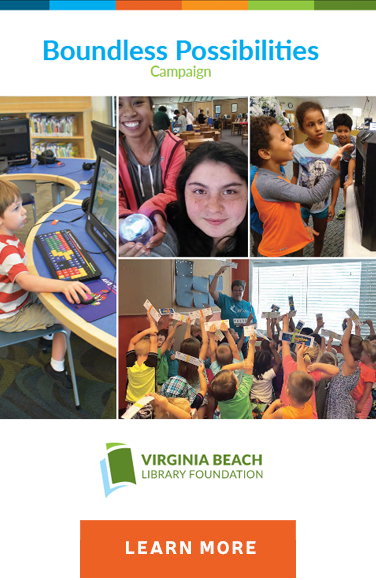 As the library’s charitable arm, the Virginia Beach Library Foundation uses gifts to fund special projects, materials and programs benefiting the community that the library could not otherwise afford through its annual operating budget. To truly maximize our libraries’ potential-taking our youth and family programs to the next level-our library foundation needs a bigger commitment from the Virginia Beach community. 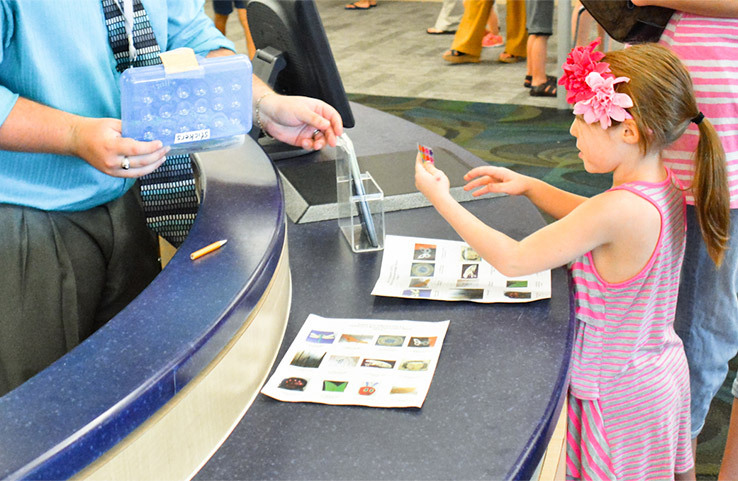 The library provides programs for everything from school readiness to technology readiness, from language development to career development, from special needs to advanced needs. Today’s library has an impact on people at every stage of life, from every walk of life. Help support your library by giving a tax-deductible donation today.